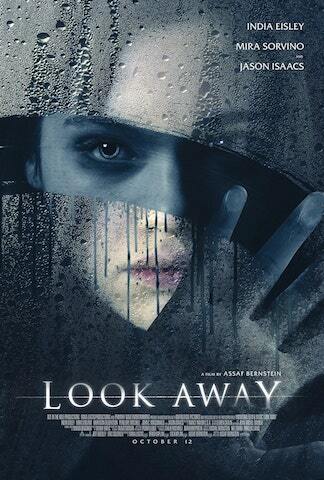 The New York Film Academy (NYFA) encourages everyone to check out the new psychological thriller Look Away, which releases this October 12, 2018 on VOD and in theaters nationwide. In a Hollywood culture currently dominated by epic franchise films and sequels, Look Away is an independent film crafted by passionate filmmakers and actors looking to tell an exciting, new story without the luxury of a $200 million budget. 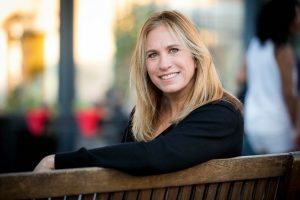 The film was directed by Assaf Bernstein — known for the hit Netflix series Fauda — and produced by prolific filmmaker and celebrated New York Film Academy (NYFA) lecturer Dana Lustig. Look Away is a thriller-horror about an alienated teenager who switches places with her evil mirror image. It stars Oscar-winning actress Mira Sorvino (Mighty Aphrodite), Jason Isaacs (Harry Potter, Star Trek: Discovery, The Death of Stalin), and India Eisley (The Secret Life of the American Teenager). Eisley is starring next in the television miniseries I Am the Night with Chris Pine (Star Trek, Wonder Woman), produced and directed by Patty Jenkins (Monster, Wonder Woman). 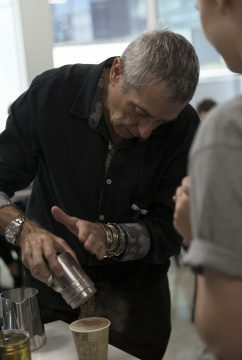 Lustig was born in Israel and has directed five feature films and produced over twenty independent features, working with many high-profile actors, actresses, and filmmakers. Embodying the modern female filmmaker archetype that is finally getting the recognition it deserves in Hollywood, Lustig balances her career in the industry with her occasional lectures at New York Film Academy and other institutions, as well as with being a full-time mother. 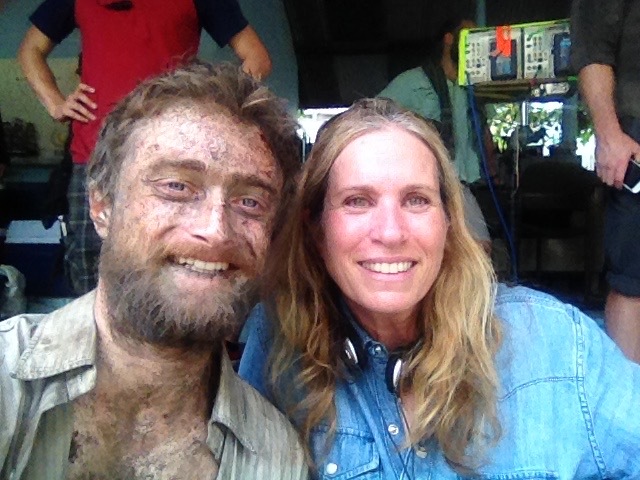 The true survival story Jungle, starring Harry Potter lead Daniel Radcliffe, was produced by Lustig and released earlier this year. 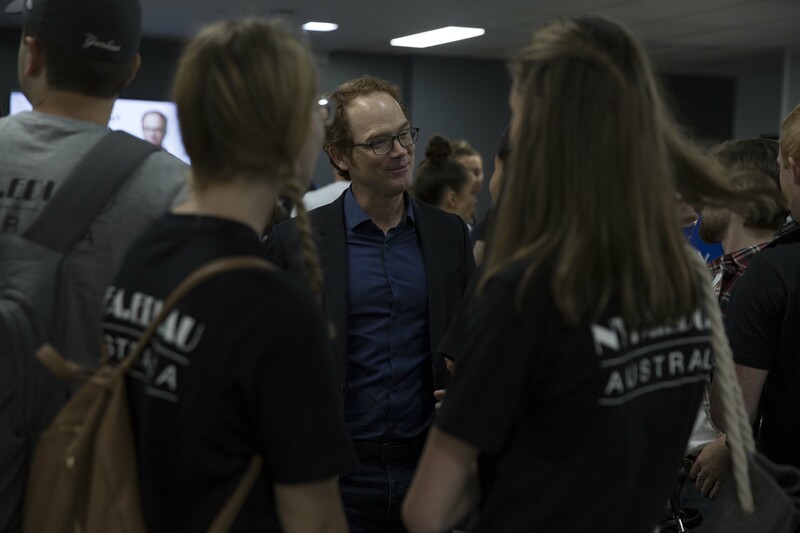 The film shot both in Colombia and Australia’s Gold Coast, where NYFA has another location with access to the Village Roadshow backlot. 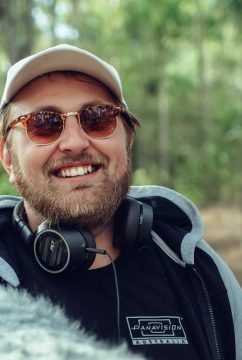 Lustig directed the dark love story A Thousand Kisses Deep starring Dougary Scott (Mission: Impossible 2) and Jodie Whittaker (Attack the Block, Broadchurch). Whittaker herself has been making headlines this week as she debuted as the Thirteenth Doctor — and first female Doctor — in the long-running smash British series Doctor Who. A Thousand Kisses Deep was nominated for a British Independent Film Award. In addition to A Thousand Kisses Deep, Lustig also directed the comedy Wild Cherry starring Rob Schneider, Kill Me Later starring Selma Blair, Confessions of a Sociopathic Social Climber starring Jennifer Love Hewitt, and Wedding Bell Blues starring John Corbett. Additionally, Lustig was a partner at Berman Lustig Productions for ten years, along with producer Ram Bergman (Looper, Star Wars: The Last Jedi.) BLP produced the hit Rian Johnson indie Brick as well as Dancing at the Blue Iguana, directed by Oscar nominee Michael Radford. Lustig tells NYFA that she feels the urge to always keep moving and looking forward to the next project, saying “We can never really be satisfied as storytellers.” She is currently executive producing Spider in the Web with Ben Kingsley and Monica Bellucci and has just wrapped filming the second season of Israeli hit series Very Important Man. She is scheduled next to direct the remake of the Israeli film The Man in the Wall. The New York Film Academy congratulates producer, filmmaker, and lecturer Dana Lustig on her long list of successes and looks forward to the many still to come! Look Away releases nationwide this October 12. 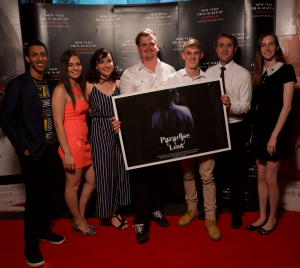 New York Film Academy (NYFA) Australia Alum Stephen Osborne has been quite productive since graduating from the Filmmaking school program offered on the Australia’s Gold Coast. 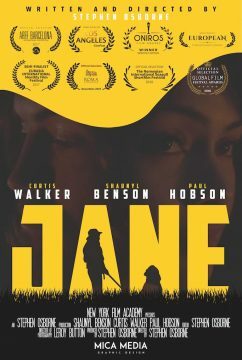 His short film Jane, completed during his studies at New York Film Academy, has received several international accolades, including Best 1st Time Director at the Oniros Film Awards. 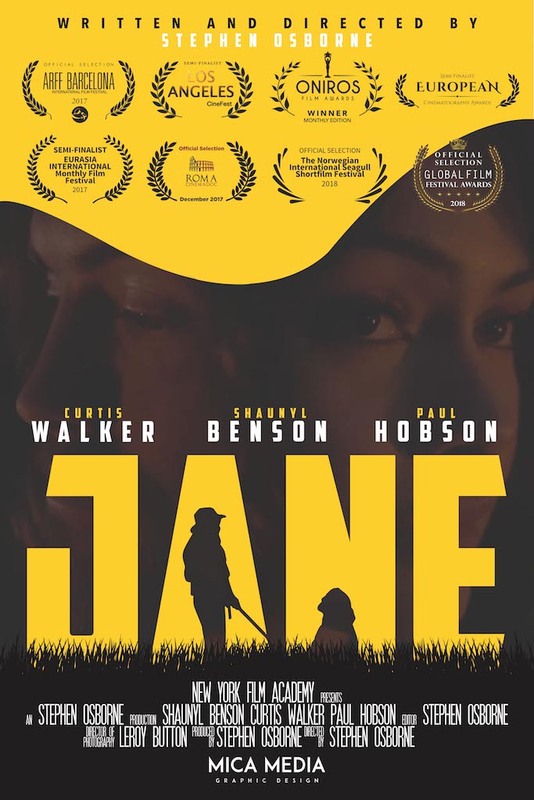 Additionally, Jane was a Semifinalist at both the Los Angeles CineFest and the European Cinematography Awards. 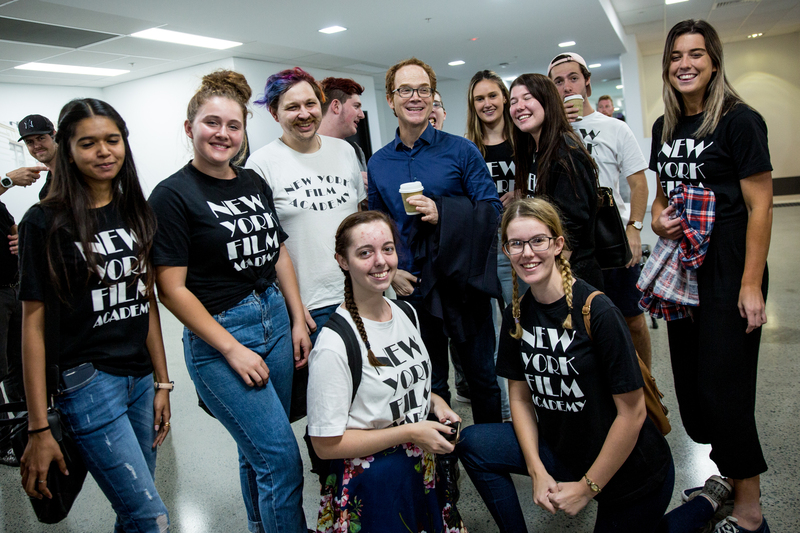 Receiving their education in the heart of Queensland’s innovative film industry, NYFA Australia students find themselves completely immersed in their studies from day one, surrounded by award-winning faculty and working with state-of-the-art equipment and facilities. 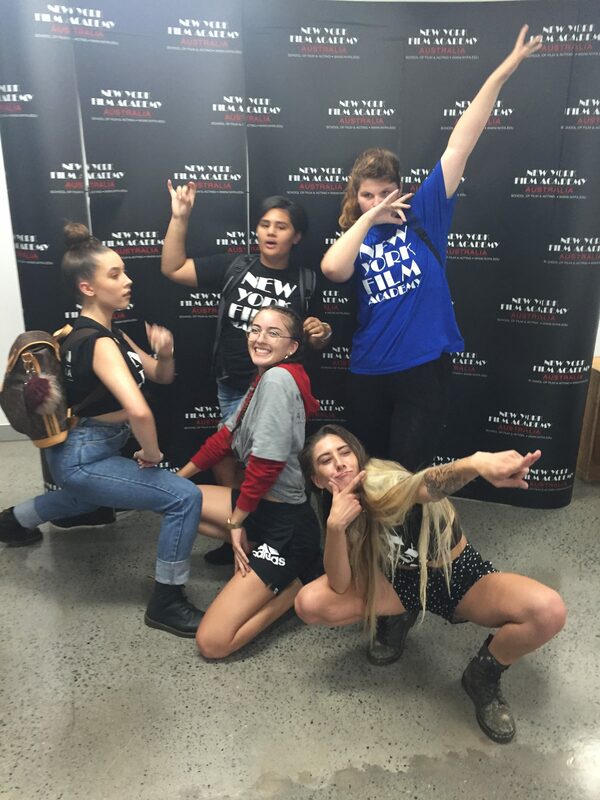 Additionally, NYFA Australia students have access to production sets on the world-famous Village Roadshow Studios. NYFA students have the opportunity to shoot their projects on the same soundstages and backlots as blockbuster films like Kong: Skull Island, Aquaman, and Thor: Ragnarok, which have been shot at the location. 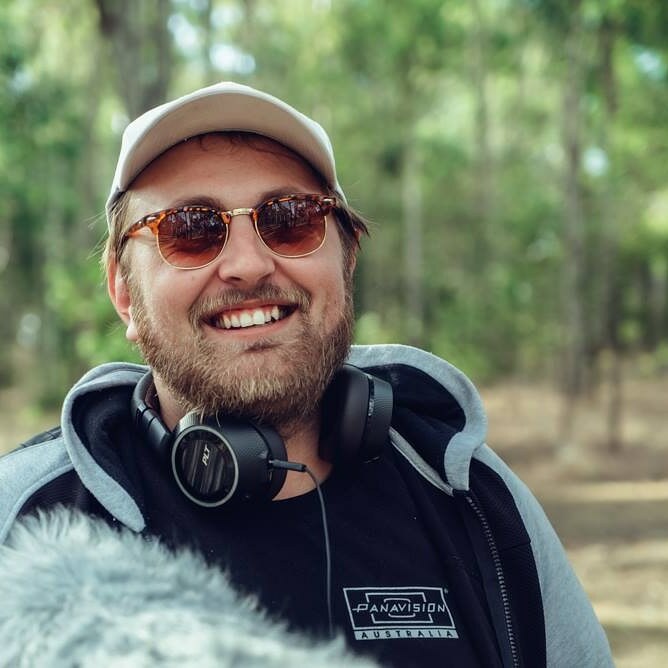 Since graduating, Osborne has worked on short films, feature length productions, and music videos in a professional capacity. As the founder of Mica Media, Osborne also creates his own content and has “just finished shooting a pilot episode for a miniseries titled Roommate Wanted for the End of the World. Furthermore, Osborne has a feature film in development set to start shooting later this year. The New York Film Academy congratulates Stephen Osborne on his accolades and looks forward to keeping track of his successful career! 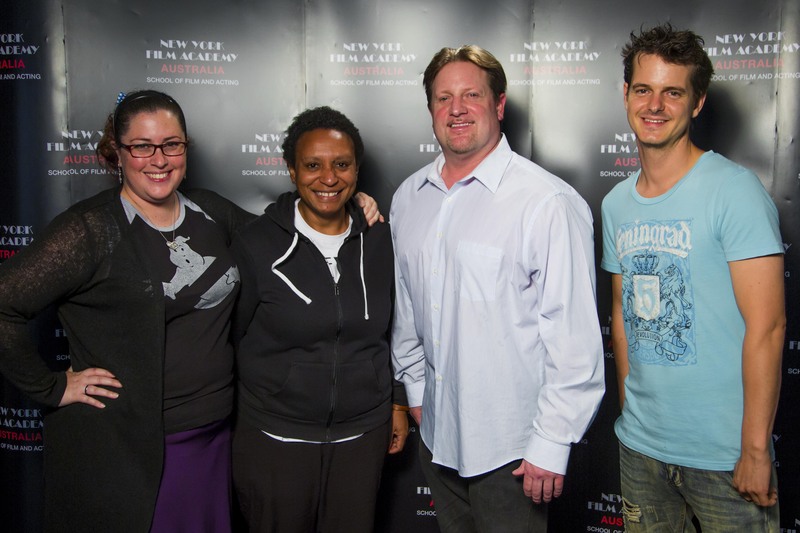 Elizabeth McLeish is a graduate of the filmmaking school offered at New York Film Academy Australia on the Gold Coast. After completing her studies earlier this year, she’s hit the ground running and has already founded her own company, McLeish Film & Media. 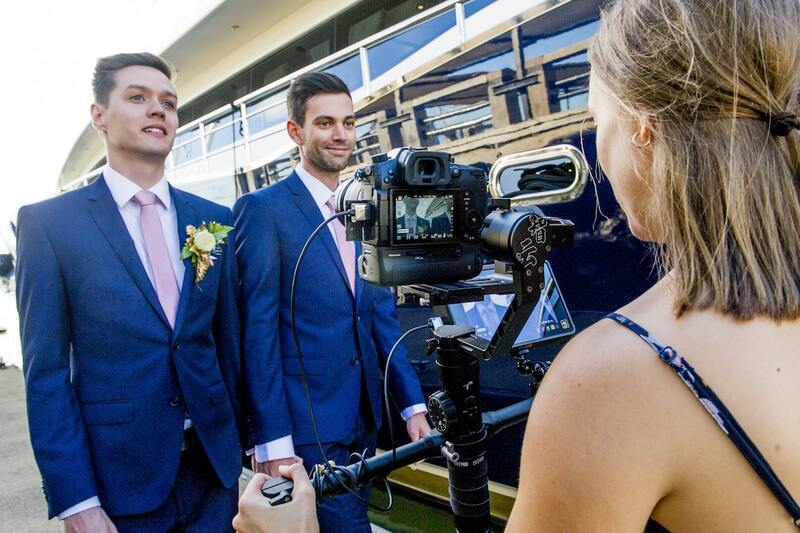 McLeish Film & Media bills itself as a videography and content creation service, specializing in wedding & event videography and available in Gold Coast, Brisbane, Sunshine Coast, Mount Tamborine, and Byron Bay. McLeish is putting that education and her multiple festival awards to good use. In addition to founding McLeish Film & Media, she is also working on her debut feature documentary, titled Kell’s Ride For a Cure. The film is to be shot in New Zealand later this year and explores the topic of early onset dementia as experienced by motorcycle enthusiast Greg Kelly. Australian media icon Ita Buttrose was also interviewed by McLeish and her team as part of the feature. 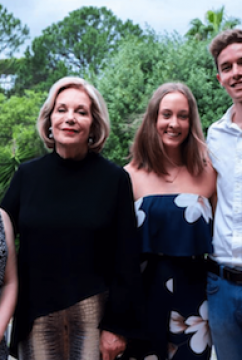 New York Film Academy congratulates Elizabeth McLeish on her success and commends her positive attitude and incredible drive! 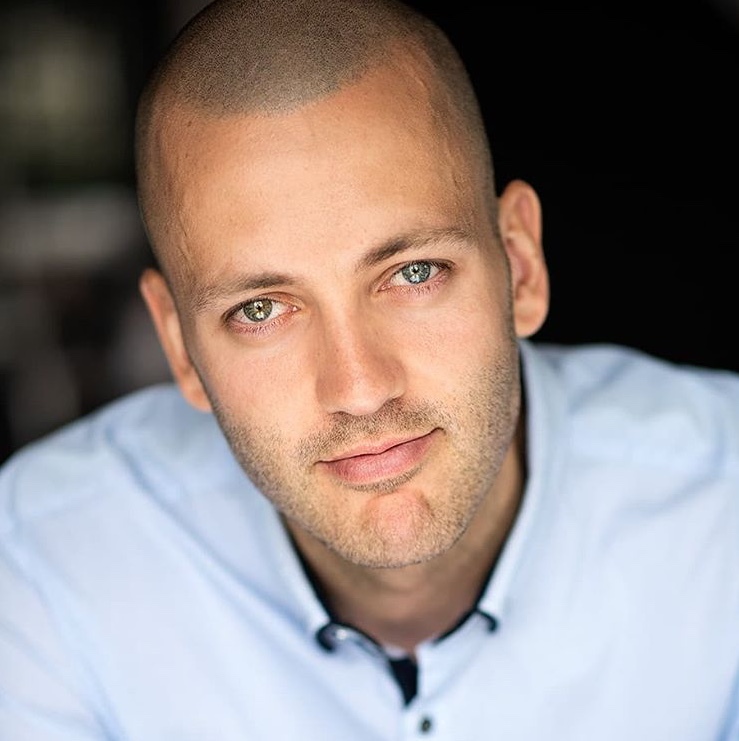 Cameron Dean completed the Acting for Film program offered at New York Film Academy’s Gold Coast campus and has since relocated to Vancouver, Canada. 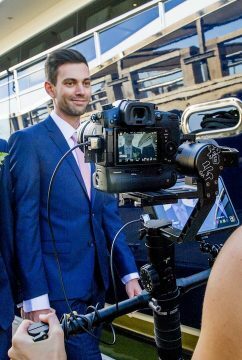 He has worked on a number of projects including Kong: Skull Island and Thor: Ragnarok in Australia, as well as the latest campaign for Lamborghini, shot in Vancouver. With plans to stay on in Canada, Dean hopes to sustain his career as a working actor and explore stunt performance for action films. “Things I want to achieve as an actor are to play a lead in an action film and do a lot of my own stunt work, for example a John Wick or a Jason Bourne style film.” Dean keeps himself motivated with boxing to increase his fitness and gather skills for the action film genre, and has also started writing him own material. The New York Film Academy congratulates Cameron Dean and wishes him continued success! 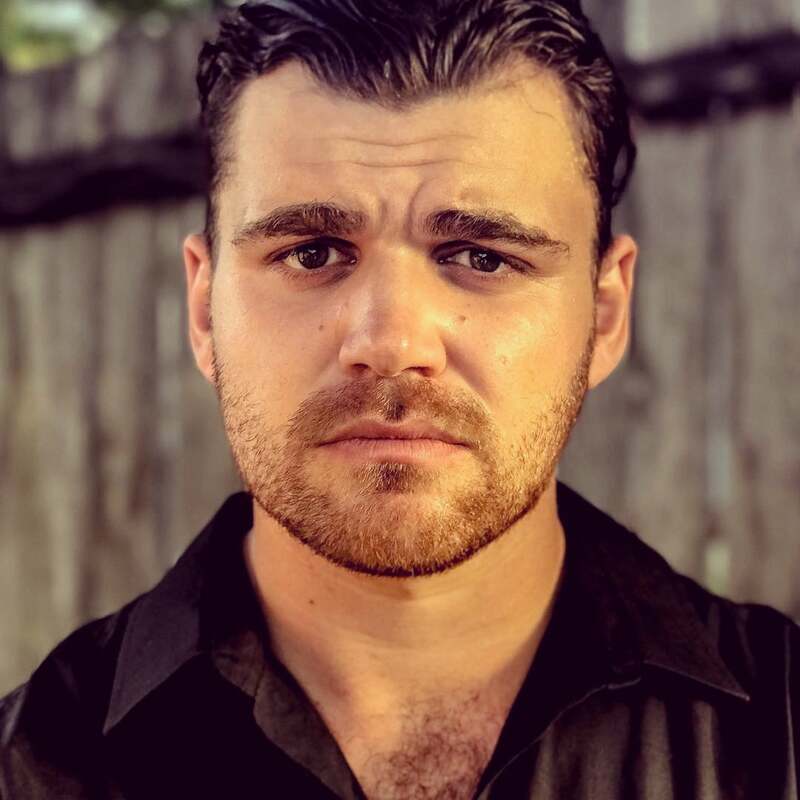 New York Film Academy (NYFA) Acting for Film graduate Jordan Abbey-Young is living the Aussie dream – originally a boy from the bush, he recently finished shooting on the feature film Danger Close: The Battle of Long Tan. The Vietnam War drama was filmed at Village Roadshow Studios on Australia’s Gold Coast, adjacent to the New York Film Academy Australia campus co-located in Southport, Queensland. Abbey-Young plays the role of Private Ron Eglinton alongside stars Richard Roxburgh and Travis Fimmel, best known for playing Ragnar on the History Channel’s original series Vikings. 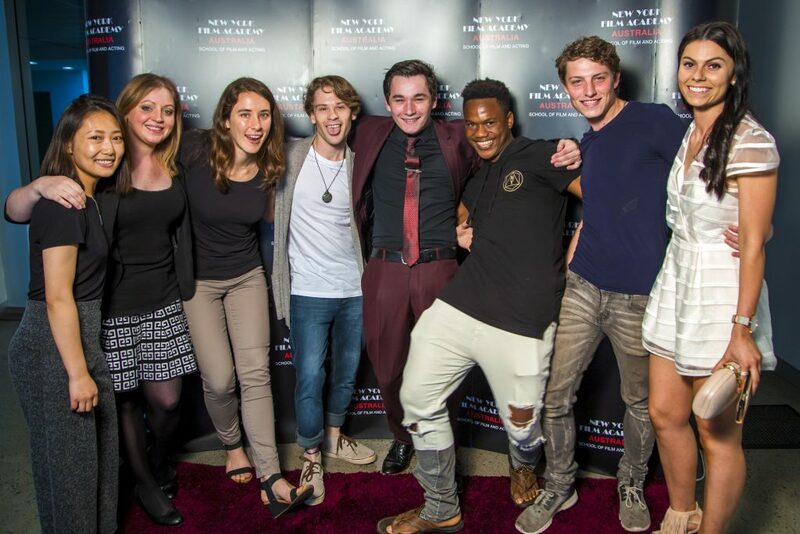 The New York Film Academy congratulates Jordan Abbey-Young and wishes him continued success! 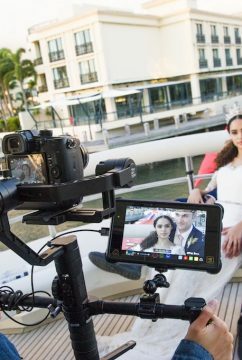 Filming has begun on the largest Chinese-Australian co-production ever, and with the project Australia’s Gold Coast continues its importance to the film industry as a whole. 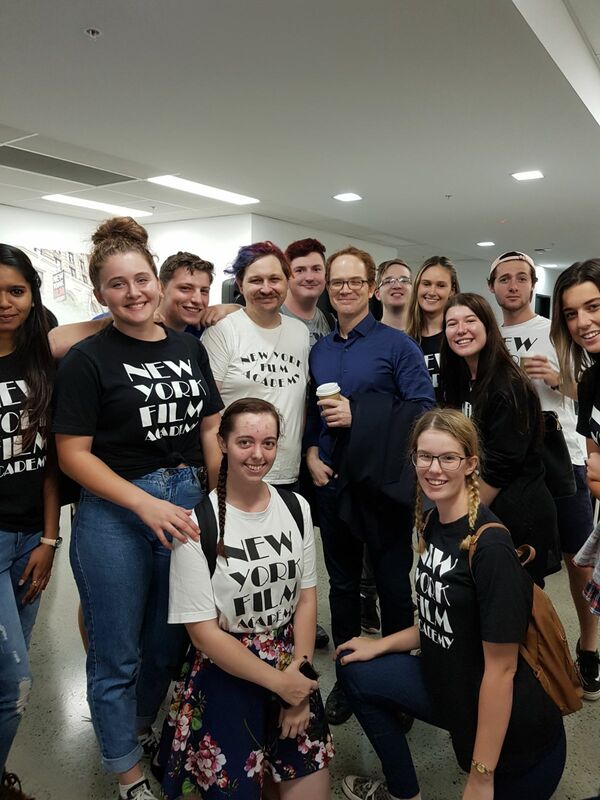 Students at New York Film Academy (NYFA) Gold Coast are reaping the rewards by learning their craft in the heart of Gold Coast as more and more major movies are shot around them. Legend of Sun and Moon, based on a famous Chinese legend, will star Dililreba Dilmurat and Dao Xiao, and—unlike most Hollywood blockbusters—will be written and directed by a woman, Eva Jin. The film will be financed, produced, and distributed by a collaboration of Chinese and Australian companies, with assistance from the Queensland government’s film programs. While Hollywood may be most associated with the film industry, plenty of other cities and nations provide hundreds of films each year to audiences all around the world. The Chinese film industry in particular has been steadily growing for a long time, with many co-productions with other countries proliferating since the early 21st century successes of films like Crouching Tiger, Hidden Dragon and Hero. Chinese cinema is now one of the largest film industries in the world. While Australia’s film industry isn’t as large as America’s or China’s, it has played an important role in co-productions, offering a wide array of spacious landscapes and consistently pleasant weather that originally attracted film productions to similar climates like Los Angeles. Plenty of Hollywood blockbusters are shot on location or in soundstages in Australia, including in Sydney and in Queensland, such as Thor: Ragnarok, The Matrix, The Wolverine, Kong: Skull Island, and Mission: Impossible 2. Many productions in Australia are supported by government organizations and programs, including Screen Queensland and the Production Attraction Strategy. 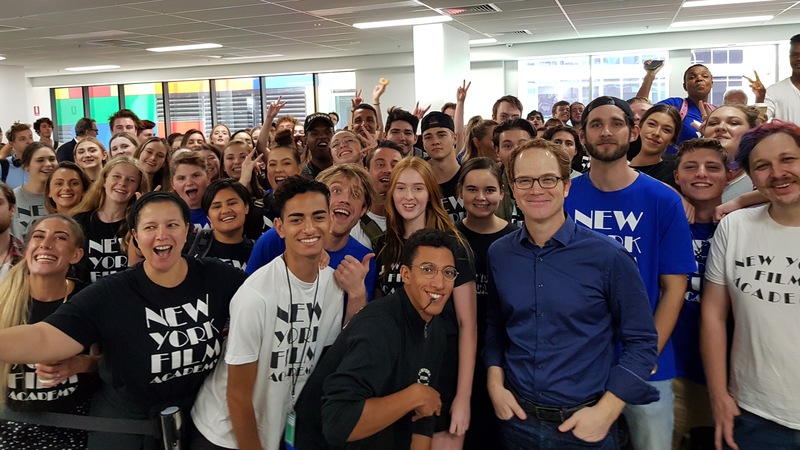 This not only bolsters Australian cinema but fosters jobs and growth for the community. 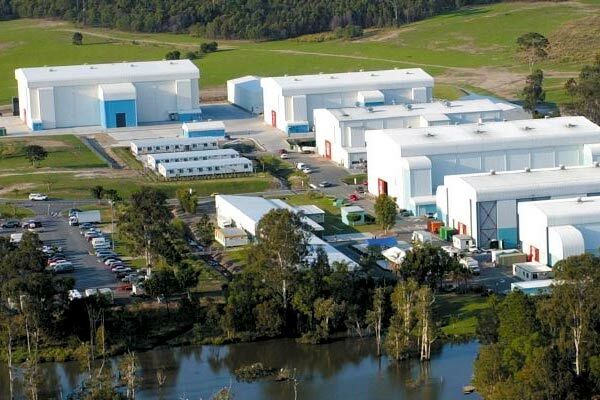 According to Screen Queensland CEO Tracey Vieira, “Legend of Sun and Moon will provide approximately 300 jobs and spend over $15.3 million in Queensland.” The film will shoot at Village Roadshow Studios, one of Australia’s foremost production facilities, which consists of nine sound stages. 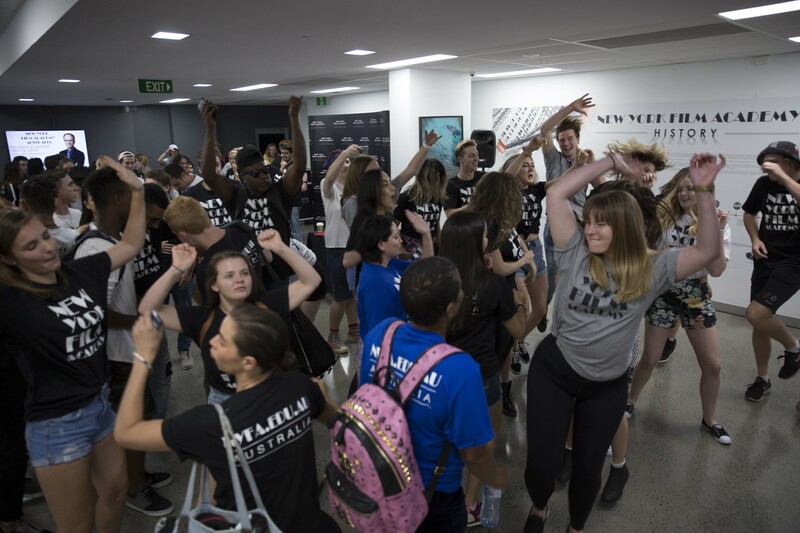 The use of Village Roadshow Studios is also one of the biggest advantages to studying at NYFA Gold Coast. 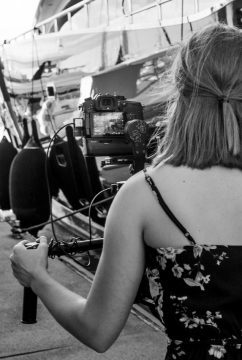 In addition to being amidst Hollywood productions and a working international film studio, NYFA Gold Coast students also study and can shoot their own films on a professional backlot. 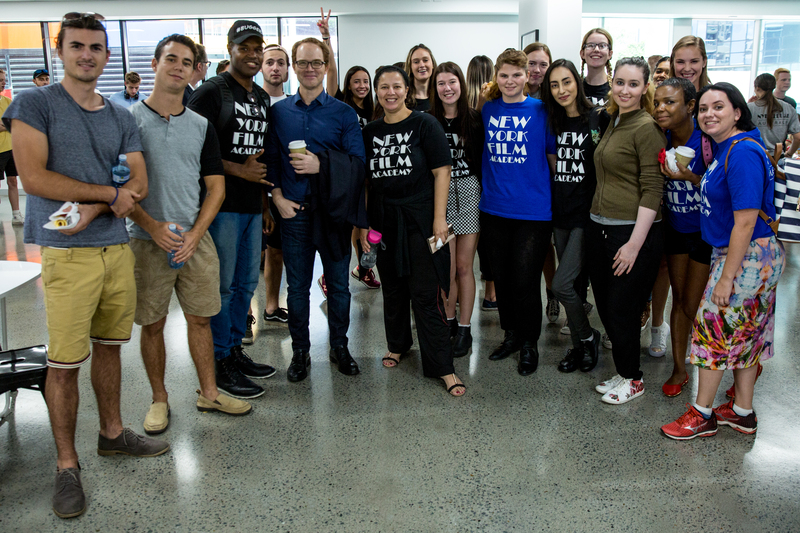 Located at Southport, the NYFA Gold Coast campus also has a two-level, state-of-the-art facility for students to use, situated in an ideal, convenient space close to light rail transport and student service amenities such as libraries, cafes, restaurants, shopping centers, and immigration services. 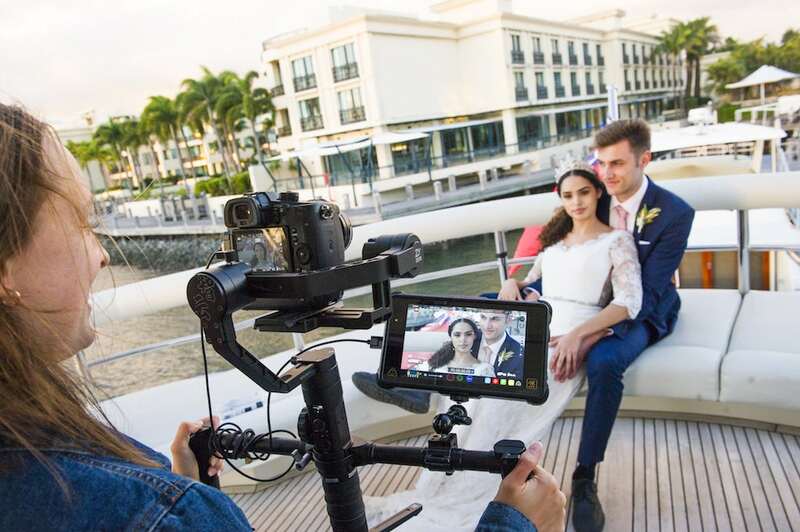 In addition, the facility is located directly across from the Gold Coast Broadwater, with a popular waterfront promenade, large estuary, and attractive parklands that make for perfect filming locations. Not too far from the campus are other diverse, incredible filming locations that students can use for their productions. Gold Coast has fifty miles of coastline and is considered a surfer’s paradise, while also home to tropical rainforests, rugged country, exciting and epic theme parks, and a modern cityscape. 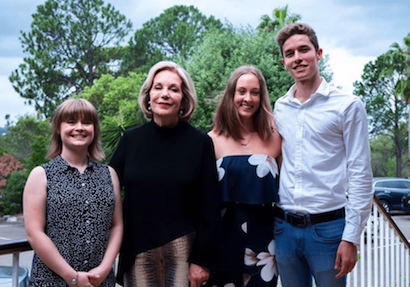 Additionally, the capital city of Brisbane is just a short drive away, with its museums, artistic attractions, and other cultural opportunities in students’ reach. 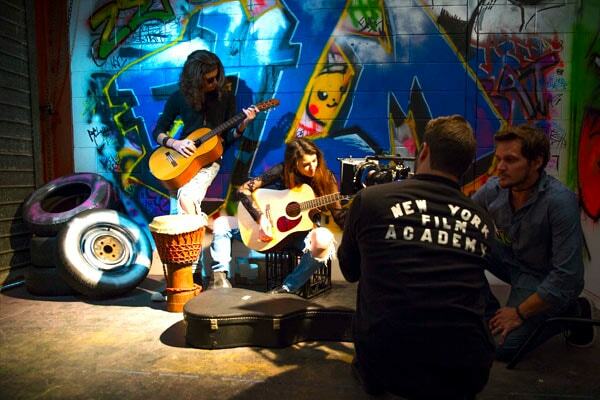 Along with its stunning locales and modern facilities, NYFA Gold Coast offers students the experience and guidance of a talented, knowledgeable faculty. Many of the chairs and instructors have industry awards and illustrious credits including House of Flying Daggers, Harry Potter and the Prisoner of Azkaban, Meet the Robinsons, Mako: Island of Secrets, Inspector Gadget 2, The Dark Knight Rises, Rocky Balboa, Moneyball, Don’t Be Afraid of the Dark, and many, many more. These faculty members work closely with NYFA’s students throughout the entirety of their courses. 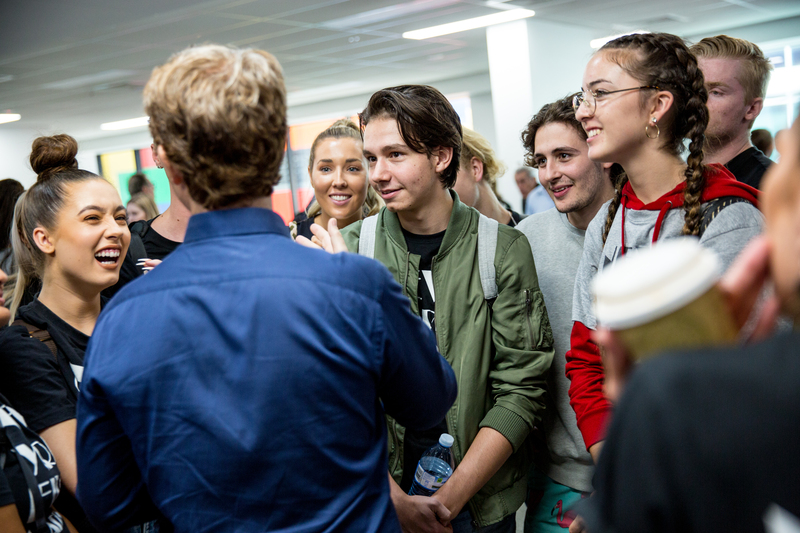 With such close proximity to a talented faculty, state-of-the-art facilities, the Hollywood grandeur of Village Roadshow Studios, and the majestic scenery of Queensland, New York Film Academy Gold Coast students are in perfect position to achieve their dreams of acting in and making movies. 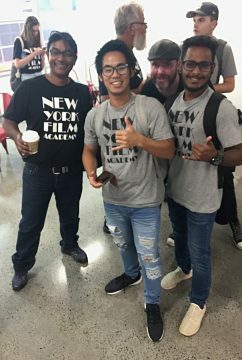 Legend of Sun and Moon will no doubt be followed by even more and even bigger international productions in the Gold Coast, and NYFA students will get to see it firsthand. 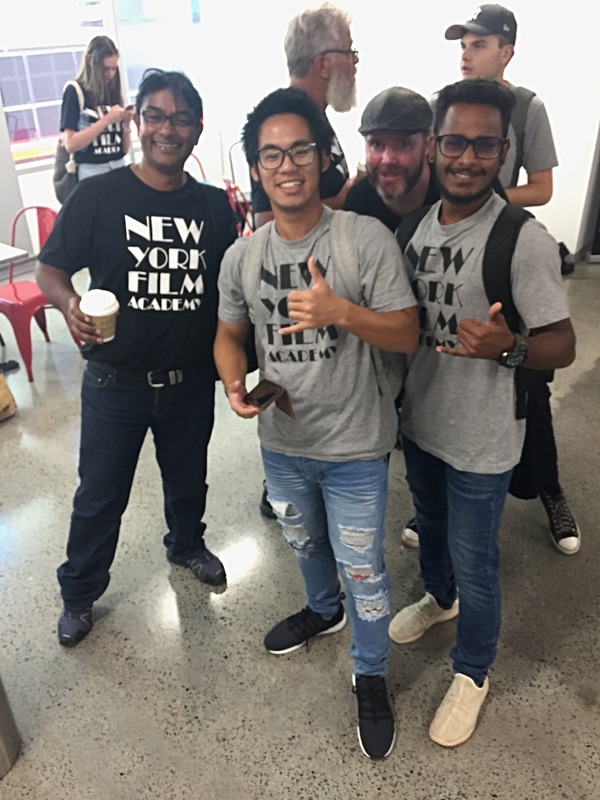 If you’re interested in studying at New York Film Academy Gold Coast, you can find more information here. In early February, New York Film Academy (NYFA) President Michael J. 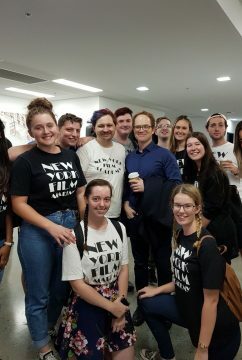 Young visited the Gold Coast campus at New York Film Academy Australia along with the NYFA Australia Board of Directors. 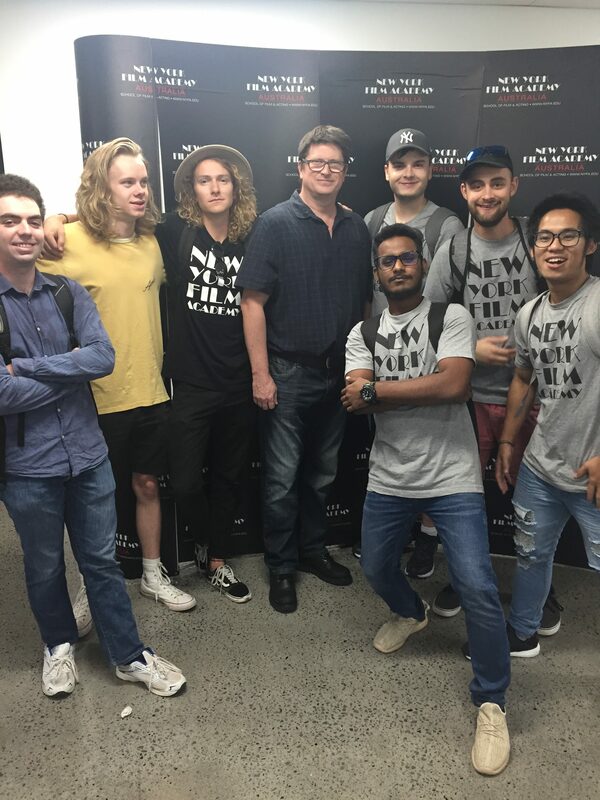 Attending the meet and greet were many of NYFA Australia’s current students, including the January 2018 class just getting underway. 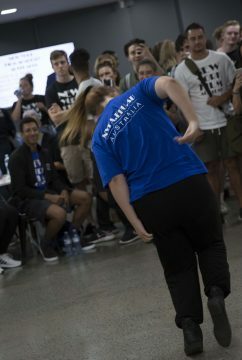 Far from a quiet, staid succession of speeches, the event buzzed with an energy of enthusiasm and good cheer that started with the excited student body loudly cheering and ended with an impromptu dance party. 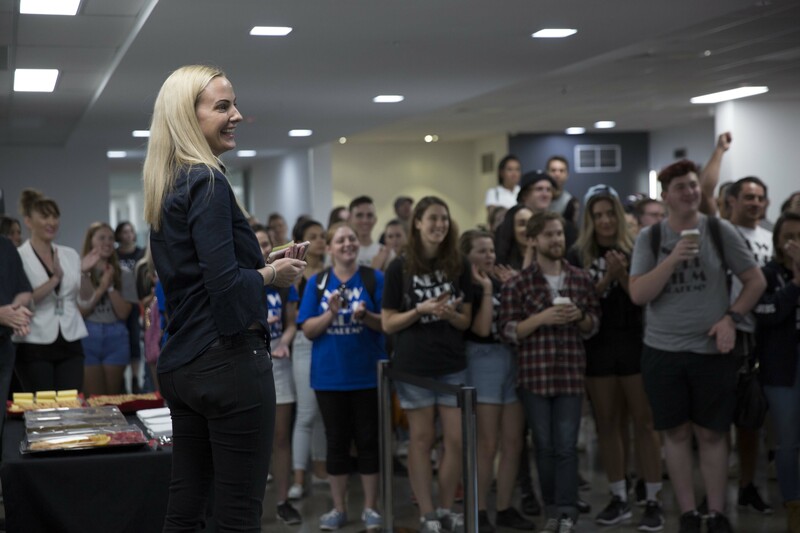 Tasha Cooper, Director of NYFA Australia, Gold Coast, introduced President Young, who had come from the Academy’s New York City campus, where he is based. 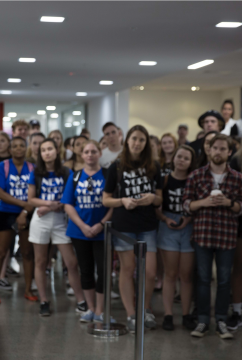 Young, who has been with the New York Film Academy since it was founded in 1992, talked about the history of the school, as well as its future. 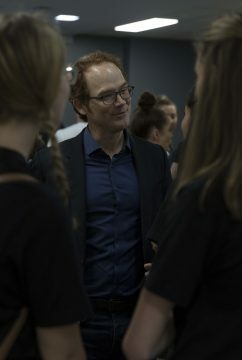 After speaking briefly, he then let students pick his brain with a myriad of questions, both thoughtful and fun, while also using the opportunity to get to better know the aspiring artists. 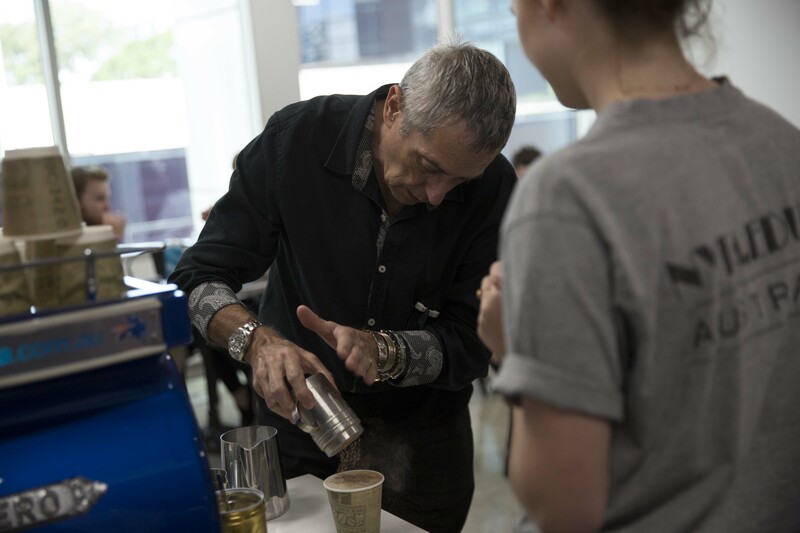 The New York Film Academy expanded to Australia in 2011, and boasts a state-of-the-art facility co-located in Southport, the Gold Coast’s leading educational and creative arts precinct. 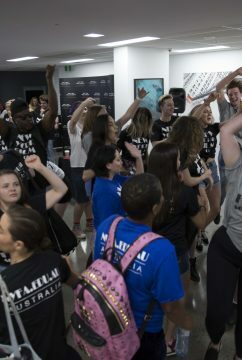 Attending NYFA Australia’s programs — including camps, workshops, Diplomas, and Advanced Diplomas — affords students the opportunity to shoot and act on NYFA’s exclusive backlot facilities at Village Roadshow Studios, the location of many Hollywood films including Thor: Ragnarok and Pirates of the Caribbean: Dead Men Tell No Tales. 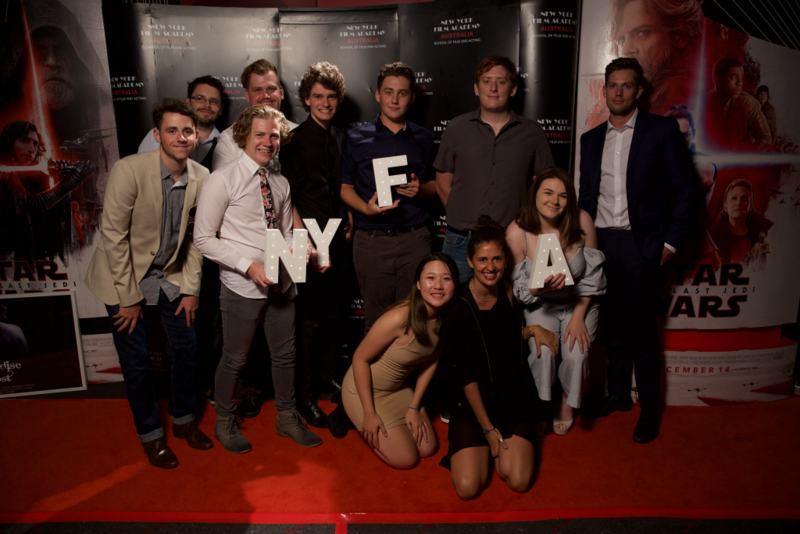 By working within this professional, Hollywood environment, NYFA Australia students gain a unique experience that prepares them for real-world work in the filmmaking industry. 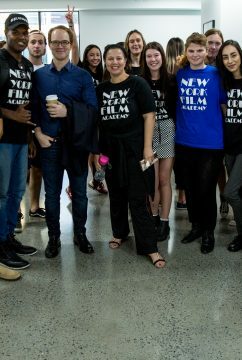 The diverse, vibrant environment of the Gold Coast suits the artistic, zestful personalities of NYFA Australia’s student body. 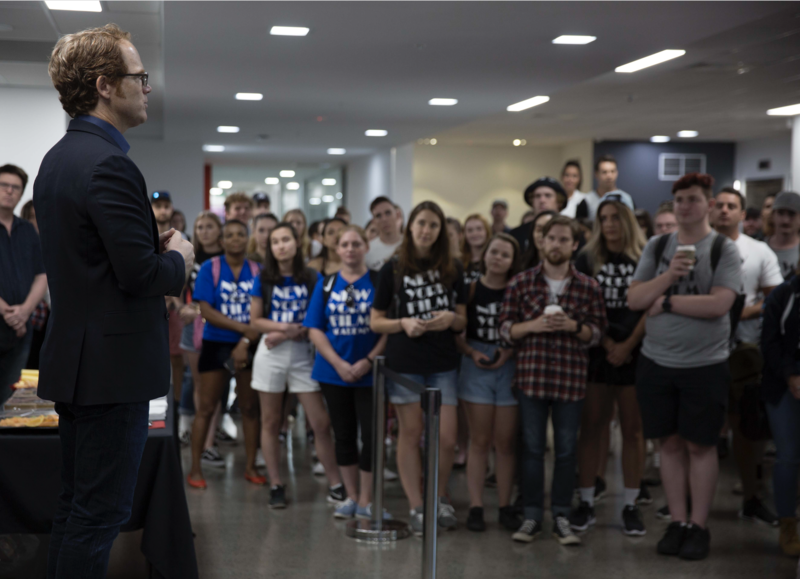 While President Young didn’t expect his casual but informative talk with the students to erupt into a dance party, the festive, exuberant atmosphere made it clearly inevitable. 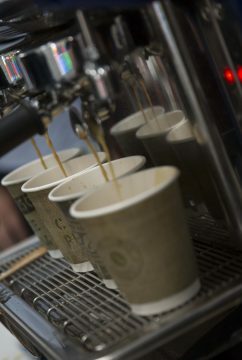 A barista was even on hand, providing students with speciality coffee. 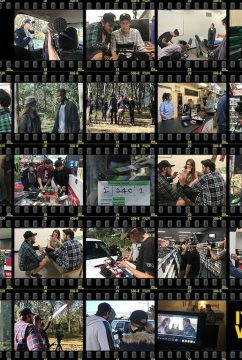 For New York Film Academy Gold Coast’s May 2017 Diploma Filmmaking students, the holidays didn’t just represent the end of 2017, but the end of a year of learning, training and artistry. 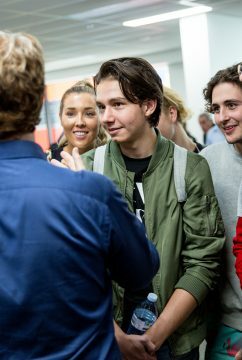 On the 21st of December, the group held their graduation at Event Cinema Pacific Fair, along with the End of Year Screening of their final films. 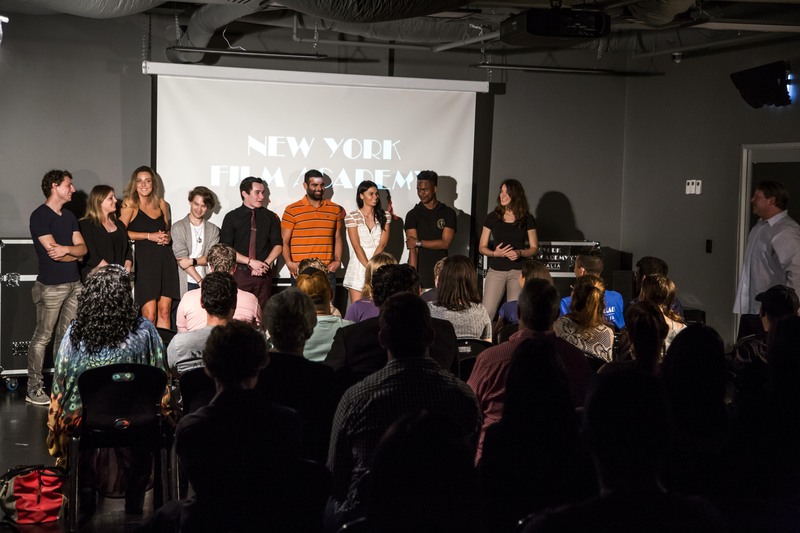 With a packed house of friends and family, the group of talented, passionate filmmaking students were able to share their achievements in a tangible way, by showcasing the films their vision and hard work made manifest. 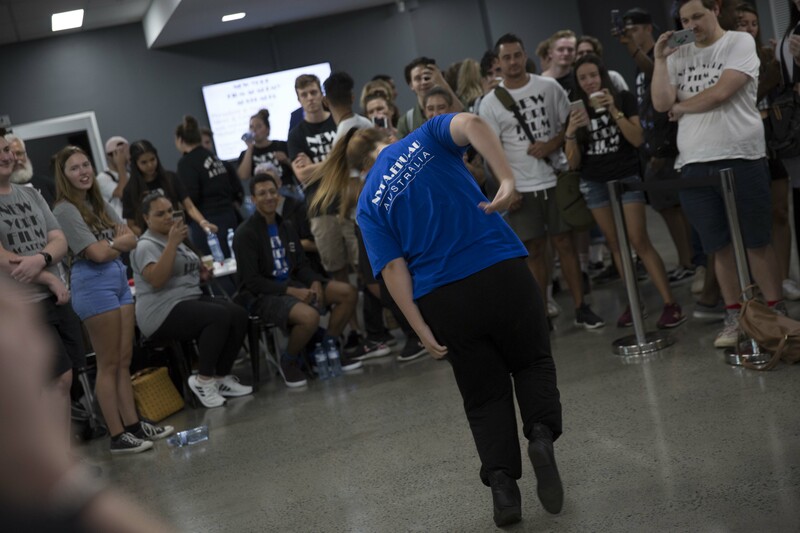 By having a full theatre audience and seeing their final films up on a big screen, the students got a taste of what their future careers could look like. Being inspired and surrounded by loved ones, the filmmakers were able to celebrate the holidays and their accomplishments of 2017 all at once. 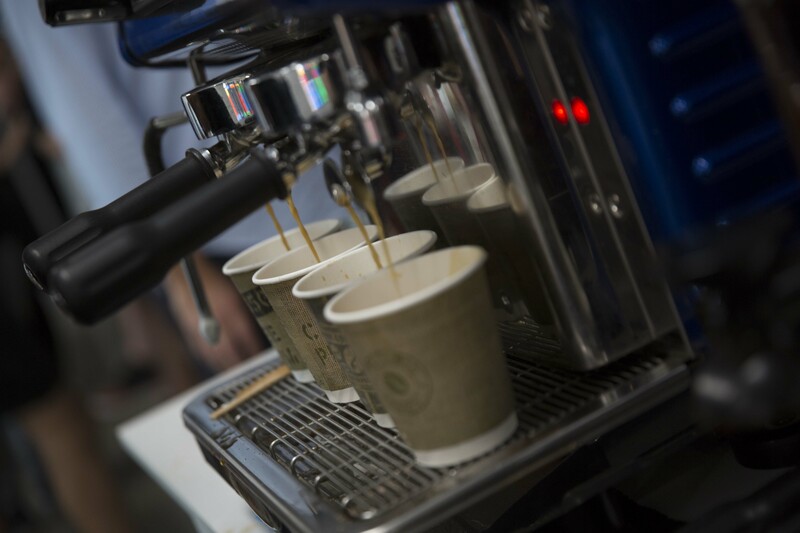 Indeed, forming relationships with colleagues is just as important to the collaborative art of making movies as the practical skills needed to bring them to life. 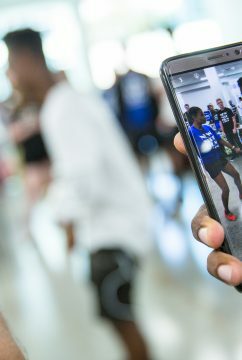 While this is just the beginning of their careers, the students were already showing off their distinct talents. Each of their final films portrayed their own unique voice, and demonstrated just how much they’ve grown since starting the program in May. 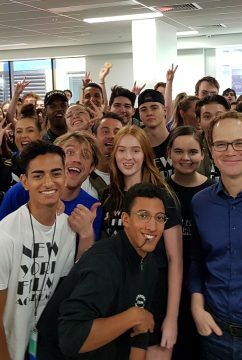 Hawkins added, “We wish them all the best and look forward to all their future projects.” The New York Film Academy congratulates the students on their films and a job well done! On November 9th, the New York Film Academy Gold Coast campus held its Advanced April ’17 Actors End of Year Showcase and Graduation. 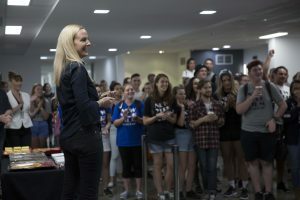 Graduating students were joined by family and friends at Event Cinemas at Pacific Fair to celebrate their achievements and the body of work they accomplished throughout the year. 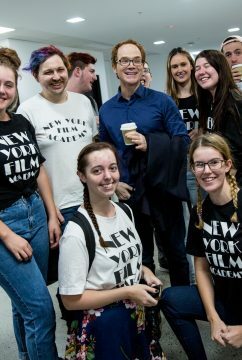 New York Film Academy Australia delivers the nationally recognized Advanced Diploma of Screen and Media, with chosen coursework focused on the craft and business of acting for film. 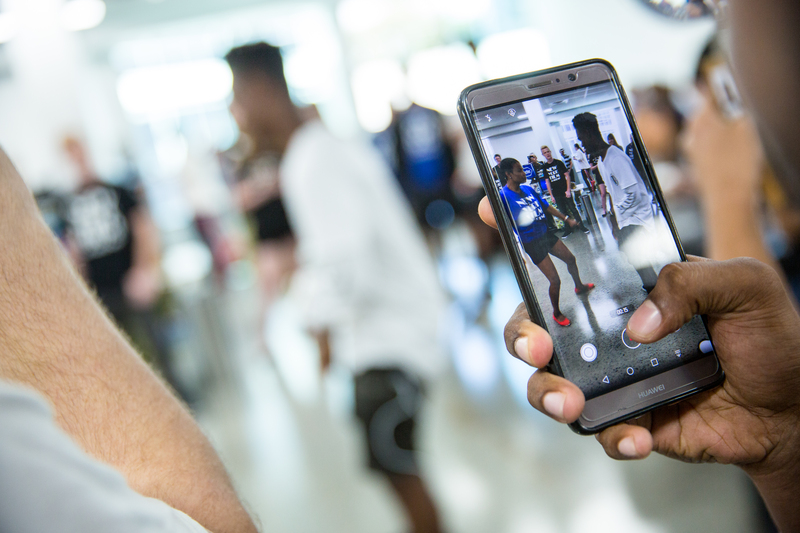 Students who enroll with the program commit a tremendous amount of time and effort, which paid off handsomely with a much-anticipated screening at the April ’17 graduation. Acting Coordinator, Louise Lee Mei, opened the event by welcoming guests and congratulating the four graduating students: Christopher Gillham, Esther Crane, Marc Johnson and Sherry Kawecki. 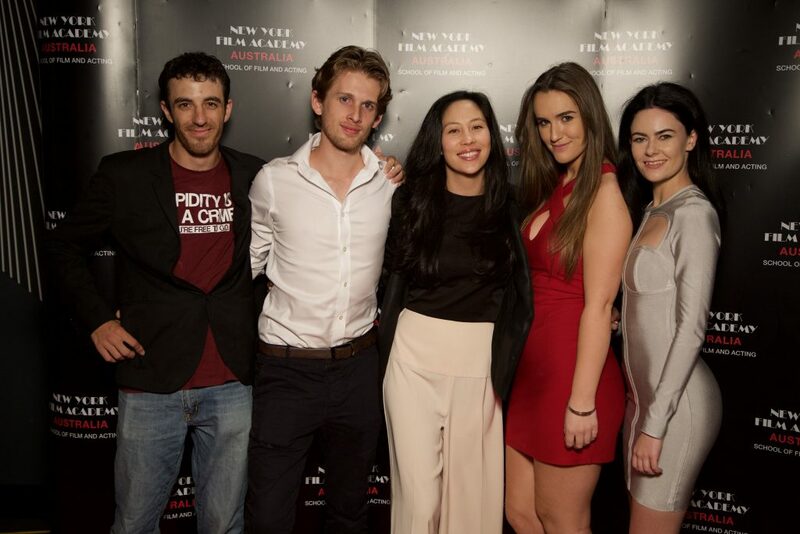 The screening included Acting for Film scenes and the group’s pilot episode “Eternity”, concerning a jilted lover turning her hand to black magic and threatening the delicate balance between good and evil. 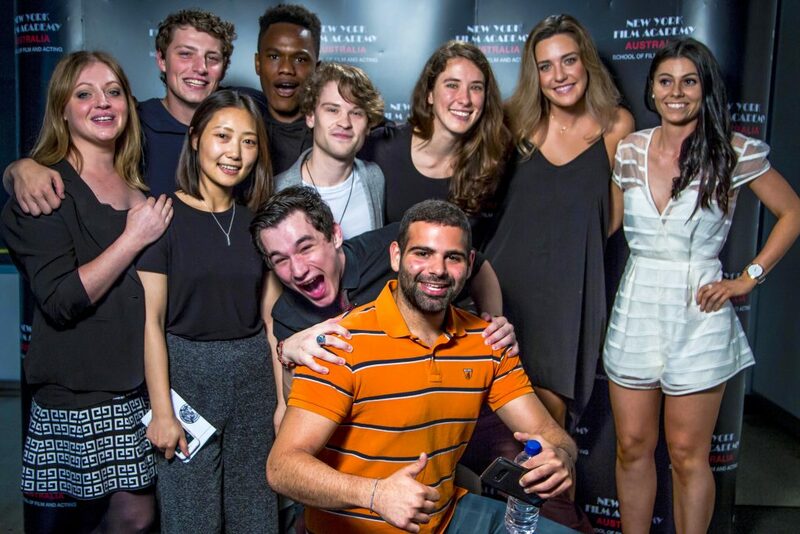 The New York Film Academy congratulates our NYFA Gold Coast Advanced April ’17 Actors! 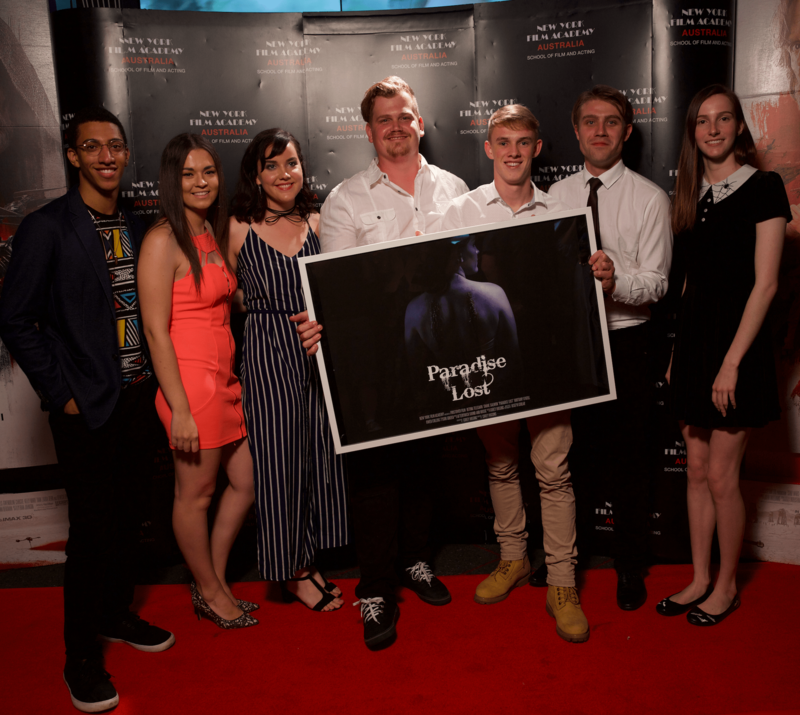 The audience at the New York Film Academy Gold Coast Campus Mid Year Screening got a double dose of talent on October 13, viewing projects from both its July 2017 Advanced Filmmakers and July 2017 Diploma Filmmakers. 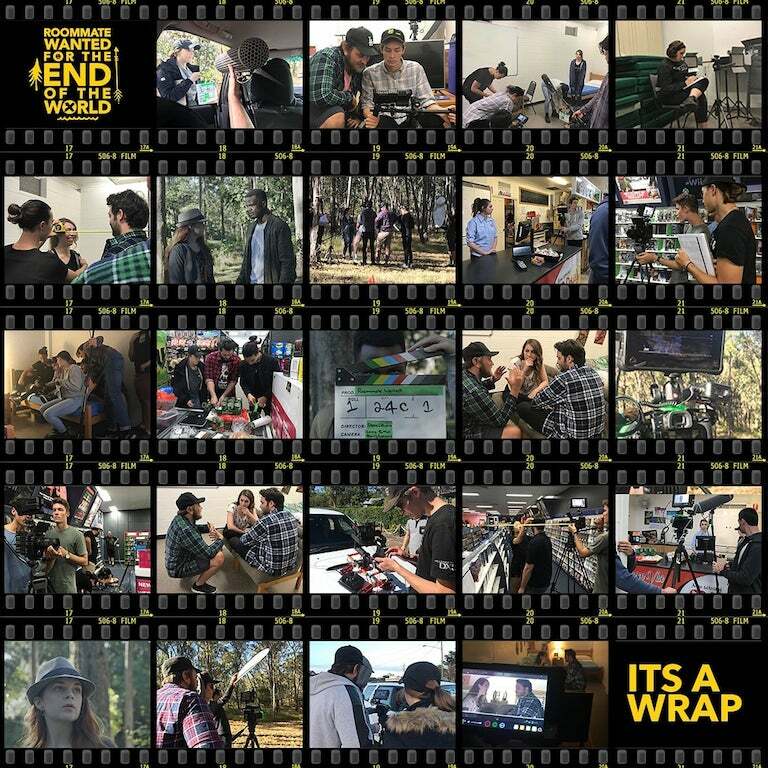 The Advanced Filmmaking students showed off their skill in producing television commercials while the Diploma Filmmaking students showcased a diverse range of non-sync short films. 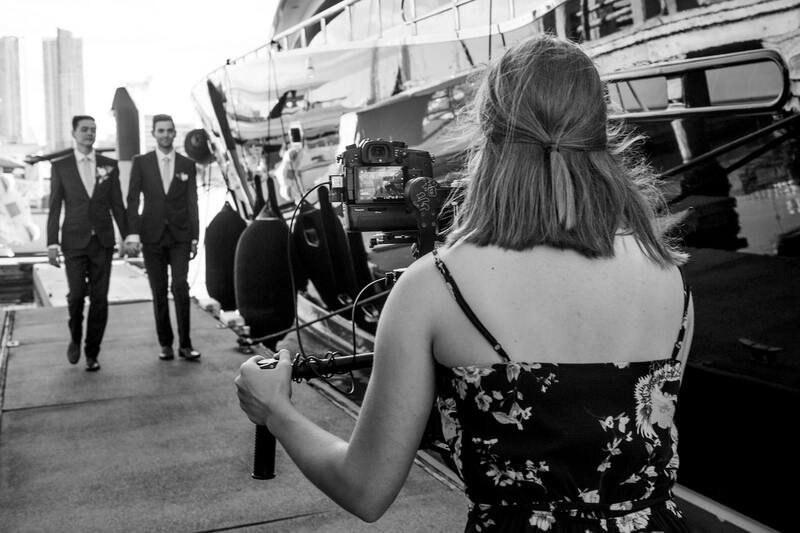 NYFA Gold Coast prides itself in training our students in several diverse media, in order to better prepare them for careers in the real world workforce. But, of course, storytelling is just as important, and the Diploma Filmmaking students didn’t disappoint with their artful short films. Congratulations to our NYFA Gold Coast July 2017 Diploma Filmmaking and Advanced Filmmaking students on such a triumphant night!